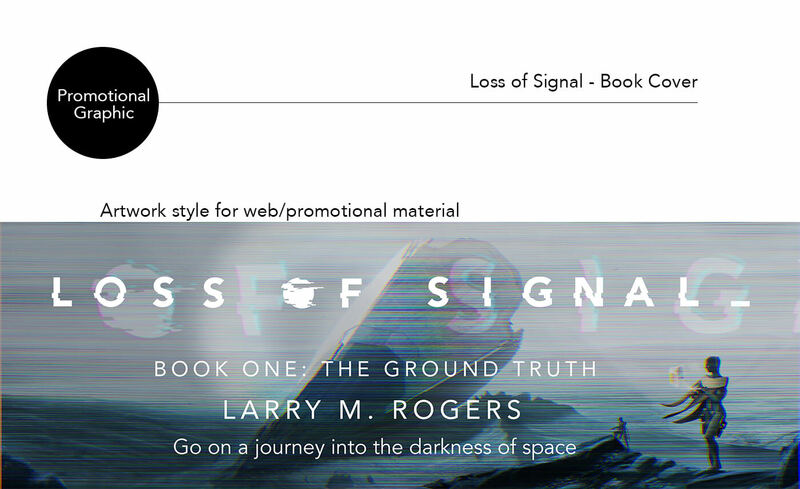 Loss of Signal is an artwork project culminating in a book cover design. The development of the project started with the artwork, the book idea was used to explain the ideas behind the artwork. The “blurb” for the back of the novel, written below this description, furthers the concept. 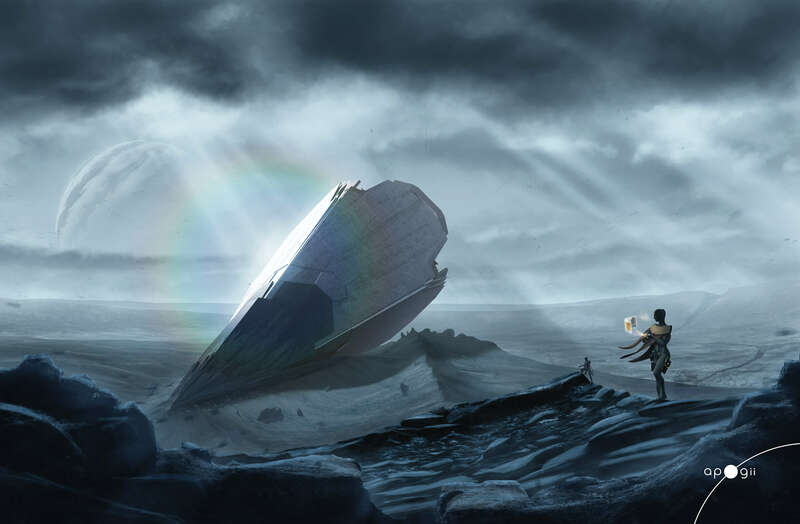 The artwork was created to express a number of themes. These included the feeling of being in extreme landscapes, the way the land forces visitors to adapt. Remoteness was another theme, not only that of the uninhabited land but the setting being on a far away world where being unable to send messages (loss of signal) means being cut off from civilisation. 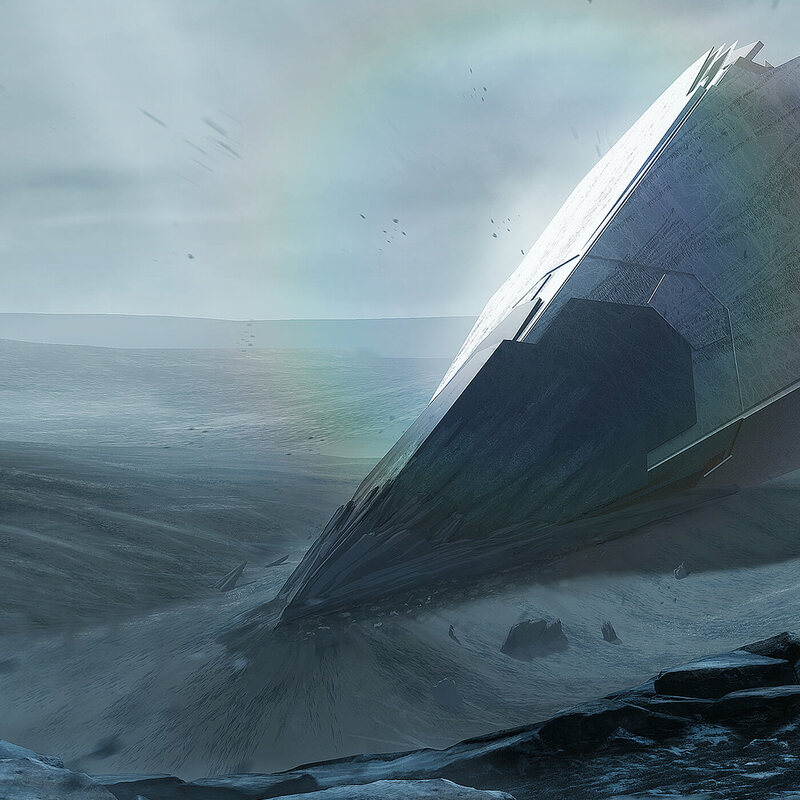 Danger and mystery were expressed by the explorers finding the vast crashed starship. Every aspect of the design was intended to convey these themes throughout the project from book cover graphics to promotional artwork. This is an artwork project and so the novel unfortunately does not exist. Space crackles with billions of conversations. Man and machine send their routine messages across the hundreds of light years of inhabited space, their signals taking years to reach their destinations. Mankind is getting used to dealing with the unimaginable distances between their colonial cities. But now those bright hubs of civilisation are winking out one by one. Before transmissions cease, reports are arriving of vast machines tearing up whole worlds, leaving black deserts in their wakes. And then all that is heard is crackling silence. Now it is the duty of Material Exchange’s crew to investigate what is happening in the darkened volume. 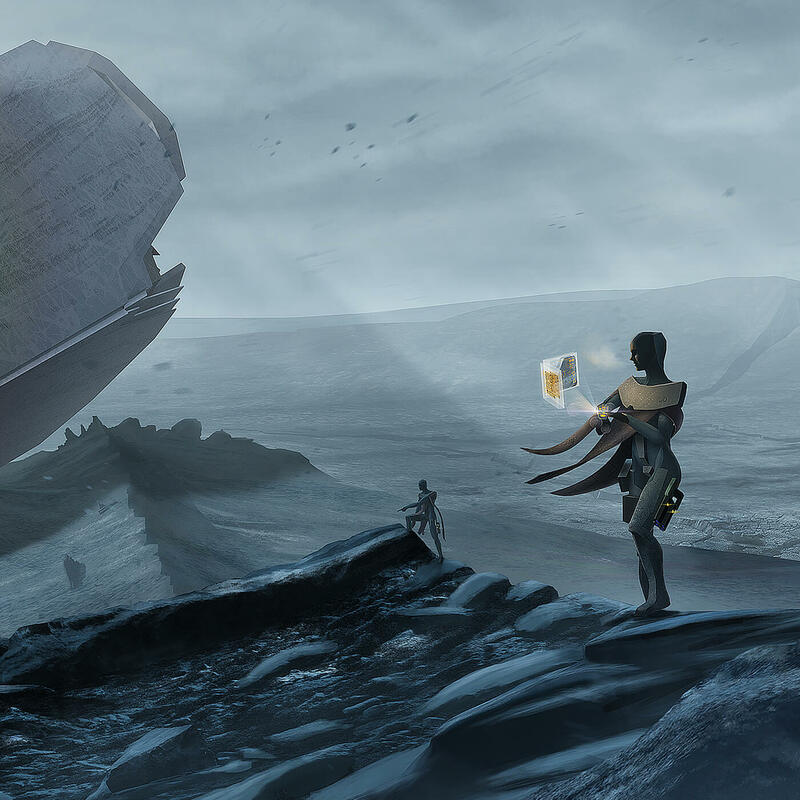 Ship Director Crober Scoll is ordered to divert his exploration C-ship from prospecting new worlds to go and see what they can find out up close. But the mission is complicated by the discovery of a sleeper agent aboard, awoken early from cryogenic hibernation who seems to know more about what they might face than she should. Crober’s crew need to ask themselves if they can trust someone who has already lied to them about what they are getting into. The fate of the rest of the civilisation of man may hang in the balance.